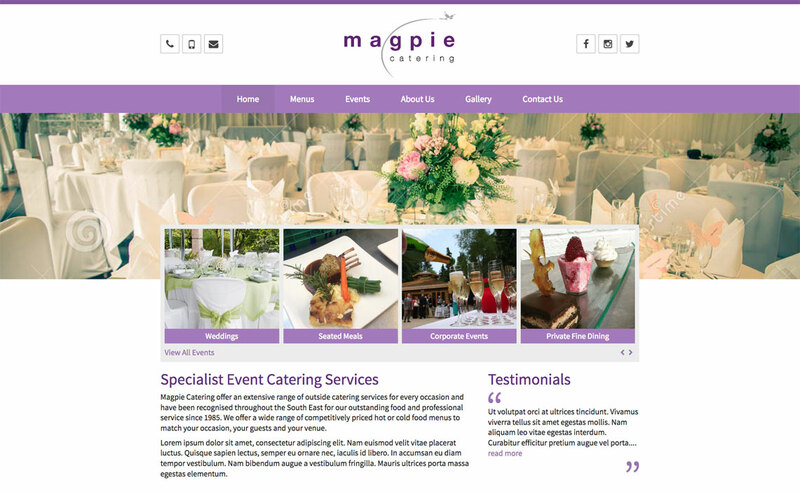 Another long-standing client with our previous website design earning a finalist spot in south east business awards and attracting attention from the likes of Channel 4 – A tough act to follow, but one we relished. Why not, it’s what we do. 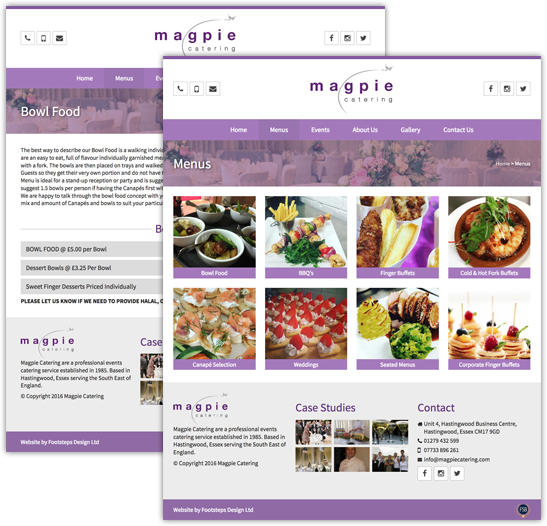 Our biggest hurdle was to create a visually pleasing and easy to use website from a company who believe in providing a lot, and I mean a lot, of comprehensive information to their clients. 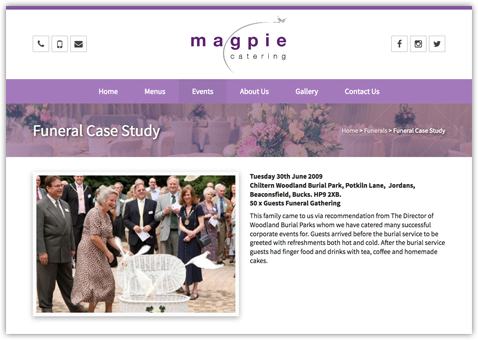 Usually we suggest getting away from too much content in a website, but in this market, wedding and event catering, the brief from our clients was it was just that information that the clients liked and helped to win them the contracts. 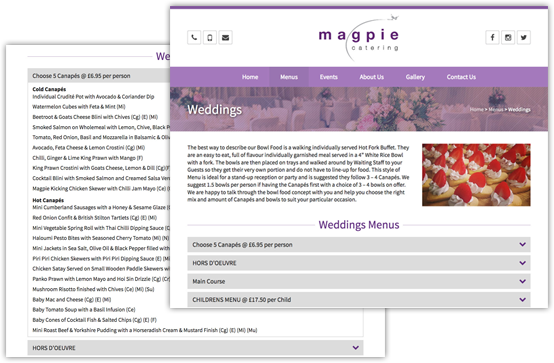 Not to mention the amazing ‘chefing’ and organisation of Magpie, but the testimonials speak for that. 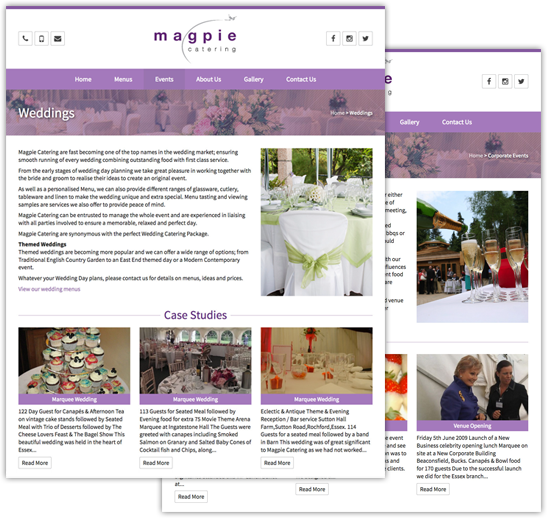 The result we feel is perfect, the site allows potential clients to find what they want easily, and doesn’t appear content-heavy. 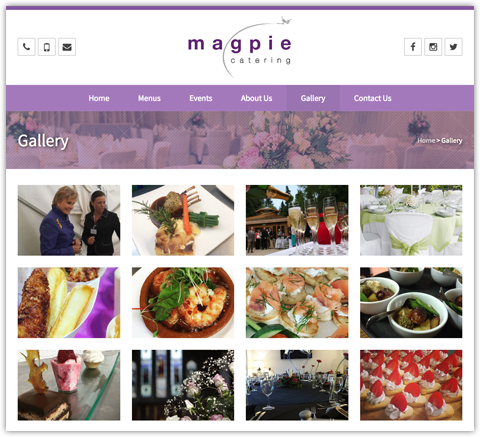 We wanted to allow images to lead the marketing on this site, as let’s face it everybody likes decent food, and the pictures speak for themselves. 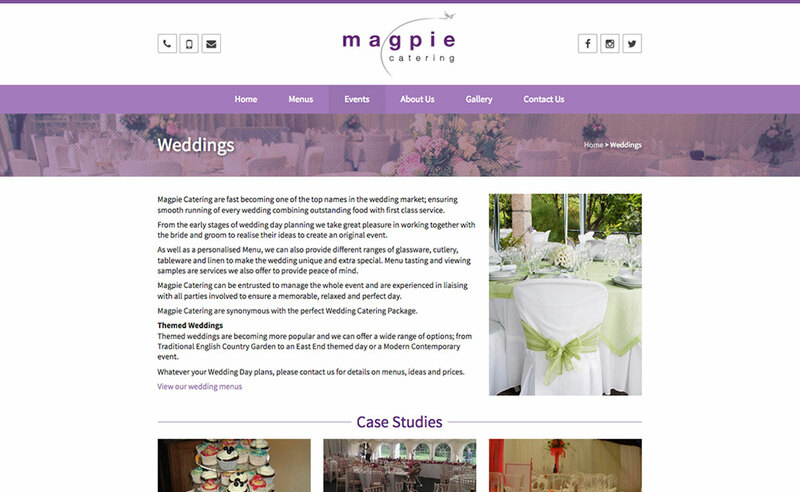 Built in WordPress, this site is easy to use, stunning to look at and way ahead of other websites in its field.